“Computer-Assisted Litigation” is a course that covers all aspects of e-discovery, case management and document management software systems, Online Dispute Resolution, and admissibility and trial persuasion issues regarding the use of trial presentation software systems, video-taped depositions, and computer animations at trial. The course culminates in a mock trial using courtroom technology at the federal courthouse. 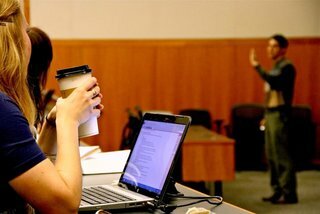 In addition to learning the fast-moving case law in this area, students also learn by applying litigation software to pre-trial case management and electronic discovery issues, as well as computer technology in the courtroom and admissibility issues. The first portion of the course is spent on complex computerized document and case management systems. The legal focus is on Civil Procedure, Pre-Trial Litigation, learning case analysis programs, and using them in all aspects of pretrial litigation. The second portion of the course is spent preparing and presenting exhibits for trial and before other legal decision-makers (opposing counsel in settlement conferences, mediators, arbitrators, referees, etc. ), using display technology systems in a fully automated mock trial. 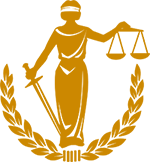 The legal focus is on Evidence, Trial Advocacy, and Visual Persuasion Skills and learning trial presentation software programs. The goal of the course is to expose law students to software programs that will assist them in pretrial litigation (case analysis, case management, e-discovery, online dispute resolution) and will enhance the students’ advocacy and presentation skills (evidentiary issues at trial, and strategic, tactical, and persuasion considerations). Students are also exposed to case management, pleading, and litigation scheduling software. The class requires a substantial amount of time working with the software both inside and outside of class. Because many large and special litigation firms, as well as many government agencies, use technology extensively in their law practice, this type of course is very important for modern law students. This is a series of three consumer reporting radio talk shows on identity theft and other computer-related crimes and scams. The second audio clip contains Professor Galves’ analysis but the other two make up the entire series on the issue.